"Accompanied by her stepbrother, Tolliver (who works as her manager), Harper heads to small-town Arkansas for their next job. Her client is a socialite named Sybil Teague, who wants Harper to find a teenage girl who disappeared on the day her son was found shot dead in the woods. The girl, Monteen "Teenie" Hopkins, has a reputation for being "wild as a razorback," and scandalous rumors abound about the two. But once Harper locates Teenie's corpse a short distance from the spot where Sybil's son died and reveals that she was shot in the back while trying to escape, the real trouble starts. As more town residents begin to turn up dead -- and with her brother in jail on bogus charges -- Harper must find the real killer before she becomes his next victim. 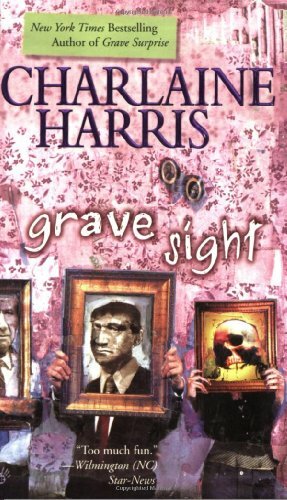 Grave Sight, is a terrific read filled with paranormal intrigue, hot romance, and some really clever mysteries."